Dean Farrar, born in San Diego, is a fourth generation Californian. He graduated from U.C. San Diego in 1971 and directly began to attend the Episcopal Theological School (later named Episcopal Divinity School) in Cambridge, Massachusetts, graduating with his M.Div. in 1975. He was ordained a priest in the Diocese of Los Angeles in February 1976 and has served as assistant at St. George’s, Laguna Hills (3 years), Vicar at St. Thomas’s, Hacienda Heights (13 years), Rector of St. Francis’, Palos Verdes Estates (14 years). He retired from full-time parish ministry in 2006 and has been attending St. Luke’s ever since. He has spent many happy weeks backpacking in the wilderness, car camping, kayaking in the Gulf of California, and exploring the mountains and beaches of Hawai‘i. He is fascinated by languages, having studied Spanish, Latin, German, Italian, Greek, and Mandarin Chinese. At St. Luke’s he volunteers with the Shower Program, has helped teach the English as a Second Language Class, and serves as an usher. Born and brought up in England, Beryl began her life in the theatre as actress and dancer. She worked extensively in Europe and in the Middle East. She then went to Mexico where she taught English at the Anglo Mexican Institute in Mexico City. On coming to the United States in 1970 she taught Modeling and English as a Second Language through Cal State, Long Beach. She enrolled at Cal State Long Beach gaining a BA in Comparative Literature and an MA in Comparative Literature and Religious Studies. It was while attending St.Luke’s that she felt strongly called to the Priesthood and the Bishop encouraged her to attend Bloy House at the Claremont School of Theology. where she earned an MA in Theology. She was ordained in 1986 and has served at several parishes in this Diocese of Los Angeles. On retiring she was delighted to serve as Assistant Priest at St. Luke’s. Steve was born in Albuquerque, NM into an Air Force family. He has lived in Japan, Utah and Maryland, moving to his parents’ hometown, Los Angeles, to complete his college degree in 1977. After living in Long Beach for several years, Steve and his husband Richard moved to Salt Lake City in 1998 where Steve was ordained to the (permanent) diaconate in June 2006. 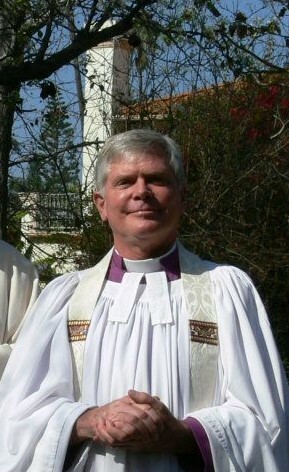 On their return to Long Beach, he was assigned to serve at St. Luke’s in January 2014 by the Rt. Rev. 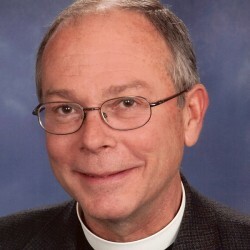 J. John Bruno, Bishop of Los Angeles. His particular interests include serving with the Shower Program, convening the Peace and Social Justice Ministry, and urban gardening with the specific goal of growing fresh, organic produce for the Manna Meals Program. Concert tours as conductor, soloist and collaborative artist have taken him throughout Korea, Germany, Italy, Chile, and Japan. 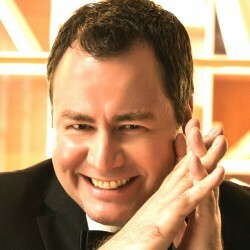 Müller-Stosch has several commercial recordings to his credit. He recorded several CDs of Jewish Choral Music for Bonia Shur at Hebrew Union College, Cincinnati that received much critical acclaim. His most recent CD celebrating the renovation of Twelve Corners Presbyterian Church’s Casavant Frères organ (Rochester, NY) has been featured on NPR’s With Heart and Voice. His principal conducting teachers were Neil Varon (Eastman School) and Mark Gibson (College-Conservatory of Music, Cincinnati). He studied organ with Hans Davidsson (Eastman School), Roberta Gary (Cincinnati) and Klaus-Dieter Mücksch (Halle, Germany). Before coming to St. Luke’s Johannes Müller-Stosch served as organist at First Presbyterian Church in San Pedro, CA and was Music Director at Twelve Corners Presbyterian Church, Rochester, NY. 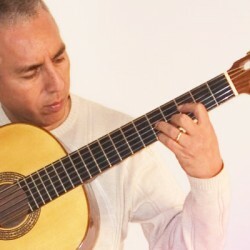 Born in Lima, Peru, Victor began playing guitar at a very young age. Growing up, Victor participated in many school festivals. He recorded his first professional LP at the young age of 15, which was followed by many more musical productions. Today, he has produced several records. The most recent titled, “Amazonas” with Latin American folklore, “Unidos por la Fe” with religious themes and finally “Para ti”, an extraordinary production of Creole music. Victor has his own recording studio where he produces his recordings and teaches guitar. With more than 30 years of experience and being the musical director of PERU VISION, Victor Vento continues bringing joy to the Peruvian community with his numerous performances accompanied by important figures of the Peruvian music world. Gary Toops earned a Master of Music degree in Organ Performance from the University of the Pacific in Stockton, and a Bachelor of Arts degree from the University of California at Berkeley. He also holds the degree of Choir Master awarded by the American Guild of Organists, and is listed in The International Who’s Who in Music and Who’s Who In American Keyboard Music. He is Emeritus Professor of Music at Mt. San Antonio College in Walnut, California where as College Organist he produced and performed in the school’s annual Halloween concert, which has become a popular college tradition. 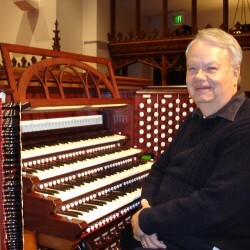 He is the Artistic Director of The Festival Singers of Orange County which performs throughout Southern California, and served for five years as Resident Organist for the Episcopal Church of Our Saviour in San Gabriel where he helped design their new 4 manual Rogers/Austin digital/pipe organ. Gary has performed twice at Carnegie Hall in New York City, once under the direction of English composer and conductor John Rutter, and tours regularly with his presentation of “Meet the King of Instruments,” a multimedia recital/demonstration of the pipe organ. 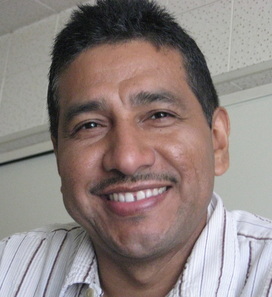 Hektor Rivas was born and raised in Mexico. He came to the United States in 1986 at the as an undocumented worker (sorry Mr. Trump!). His intention was to work for a year in the States, make some money and go back to Mexico to continue his education as a Civil Engineer. That didn't happen...yet! His first job was at "Jacuzzi Inc.' in Irvine, CA making spas. He became an American Citizen in 1998, where many St. Luke's parishioners attended his ceremony. Hektor started working at St. Luke's Episcopal Church in 1992. This is his 25th year, with 15 more to go! Nancy has worked at St Luke’s as a bookkeeper since April 2014. She was born and raised in Costa Rica. There, she worked as a brand manager for a food distribution company (PANAL) where she successfully introduced and focused on product placement in numerous supermarket chains. She also negotiated with grocery store administrators and category managers to implement marketing promotions at different points of sale, increasing sales of the products distributed by PANAL. Nancy also organized promotional events for the brand and was responsible for the creation of the brand’s marketing budget. 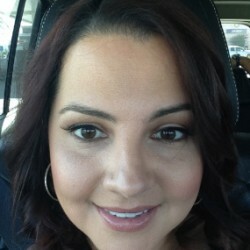 In 1999, Nancy left PANAL and came to California with the sole purpose of developing her English language skill set while acquiring a unique cultural perspective. Since then, Nancy has dedicated herself to work in the accounting field, serving also as a bookkeeper for other non-profits. Nancy holds a Bachelors in Business Administration with emphasis in Hotel Administration from ULACIT (Universidad Latinoamericana de Ciencia y Tecnología) San Jose Costa Rica (1996) and a Master in Business Administration (MBA) from ULACIT (Universidad Latinoamericana de Ciencia y Tecnología) San Jose, Costa Rica (1999). Lamia joined St. Luke's in February 2015. Originally from San Diego, California, she moved to Long Beach to attend Cal State University, Long Beach and received a degree in Music, with an emphasis in Vocal Performance and Opera. Having a passion for both music and performing, Lamia has had the opportunity to work with companies like San Diego Opera, Vineyard Touring Opera, and the Bob Cole Conservatory. Her first experience with St. Luke’s was getting the chance to sit in on several services with the choir, which she enjoyed very much. Lamia is currently a member of the Long Beach Camerata Singers and Pacific Chorale in Orange County.